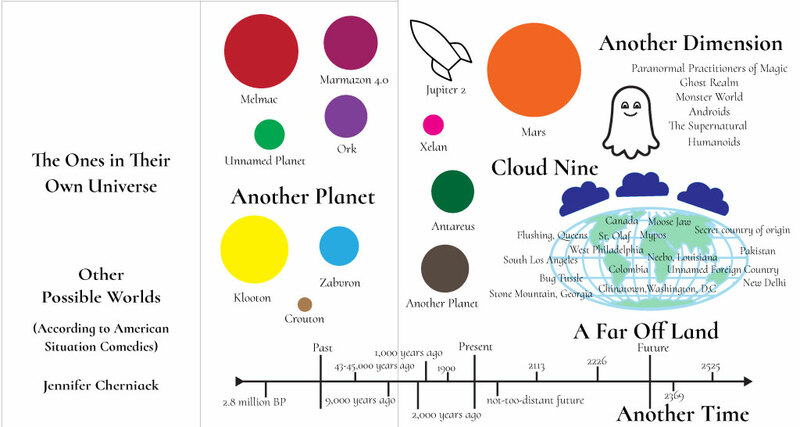 A screenwriting axiom has it that there are only eight possible characters in any given sitcom. The Ones in their Own Universe: Other Possible Worlds (According to Situation Comedies) is focused on the “one in their own universe” – defined as having “a worldview that is significantly skewed from everyone else, but makes sense to them”. 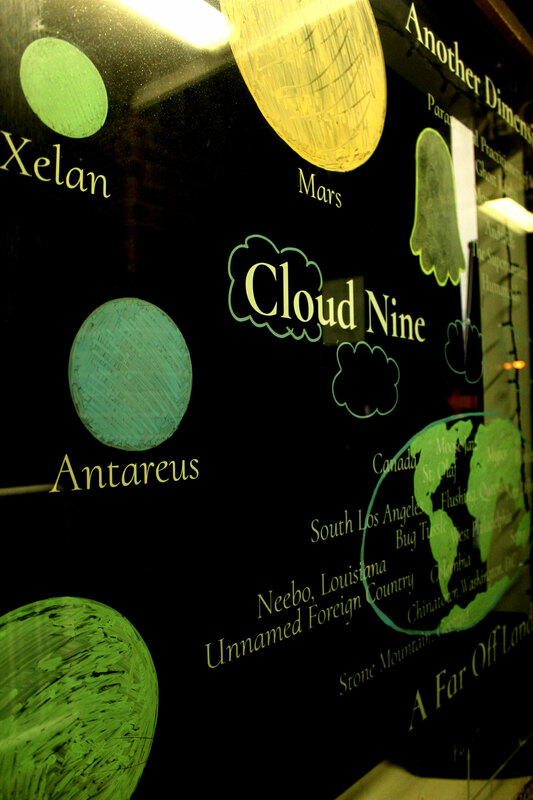 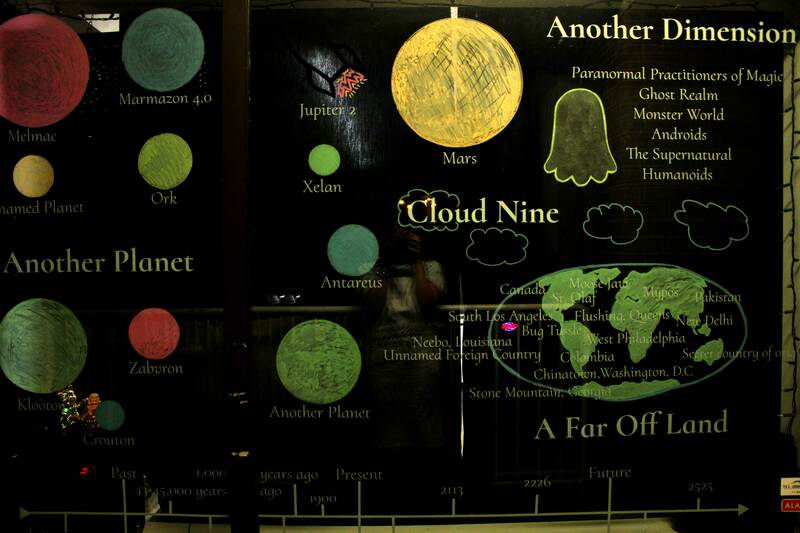 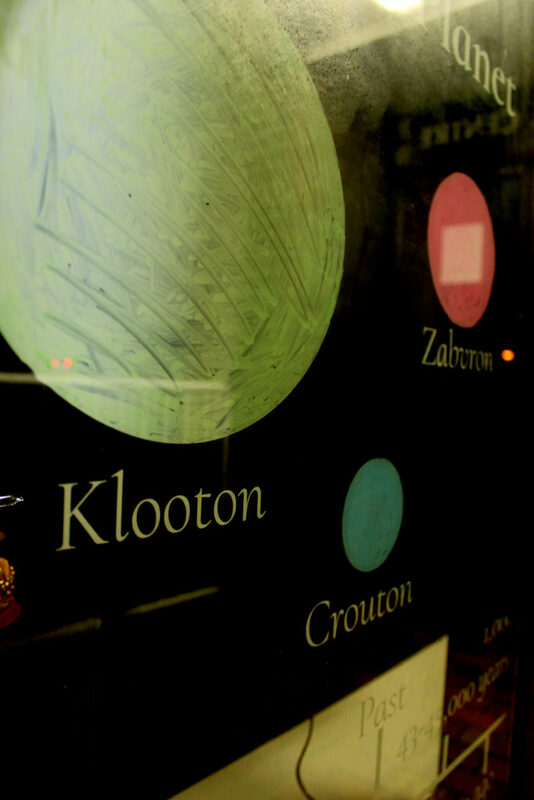 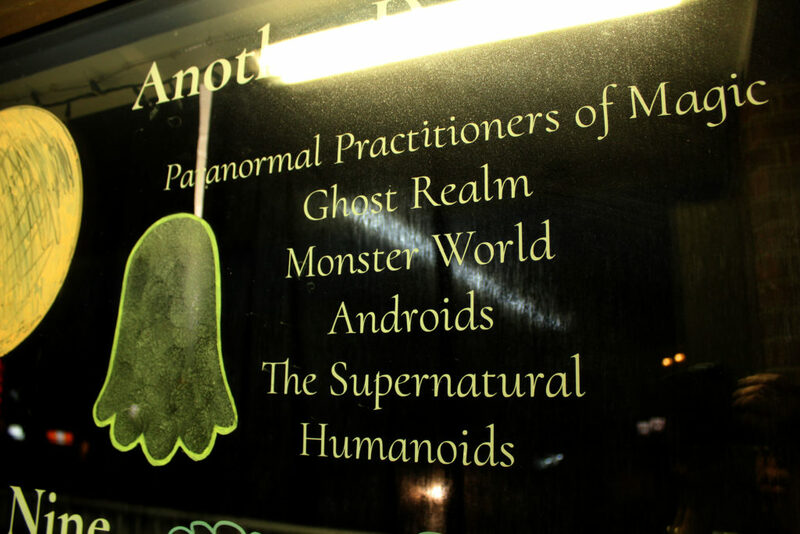 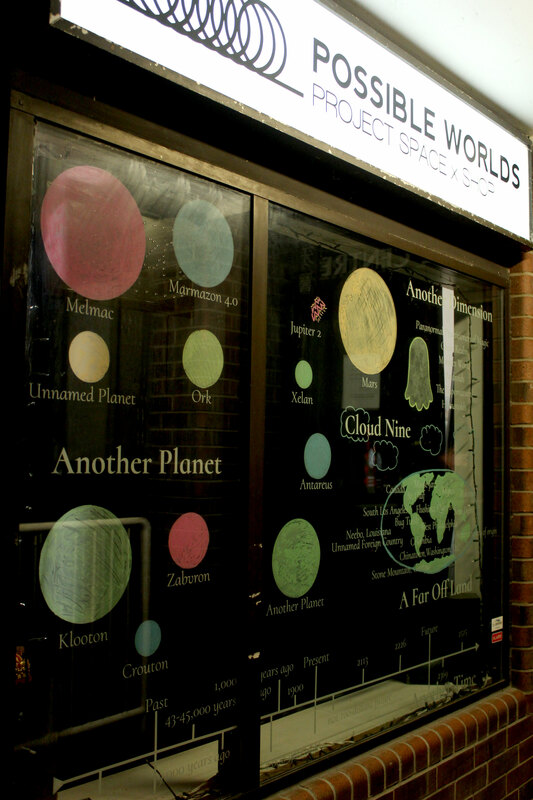 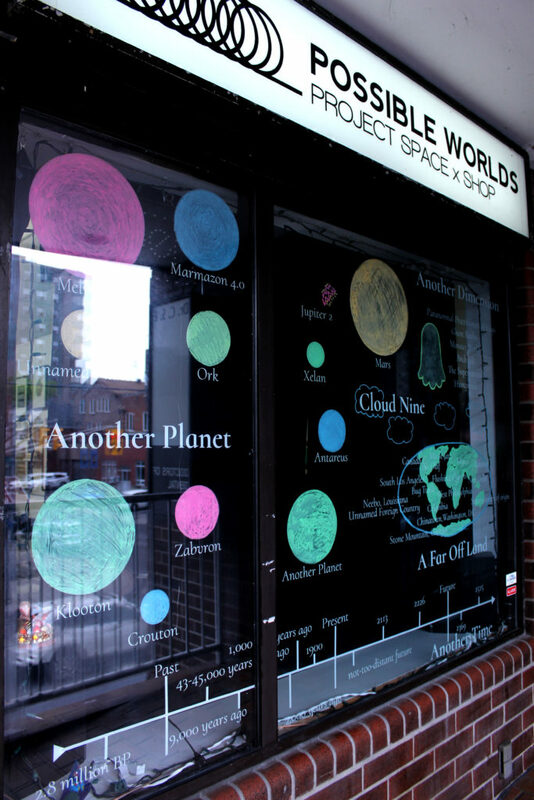 This window display makes literal the “own universe” which the one is in, listing and mapping the supposed causes (planets, countries, times periods, etc) of 60+ characters otherworldliness.